Longer review: I was in an Apple store with a friend this weekend who was buying a video iPod, and I saw the ShuttlePRO2 from Contour Design and bought it on an impulse. It’s pretty neat. Essentially, it’s a USB device with 15 input buttons and a jog/shuttle wheel for $99. I’m a sucker for interesting input devices; blame it on going to grad school at UNC-Chapel Hill, where one-of-a-kind input/output devices are commonplace. 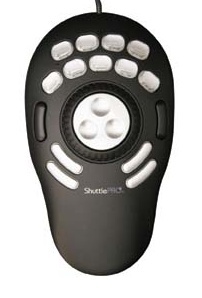 The Shuttle Pro works with Mac or PC; I’m taking it in to work tomorrow to try with Linux. 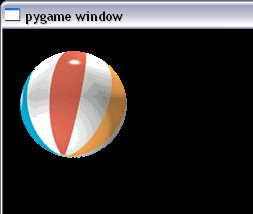 For Windows, it comes with a simple driver that lets you program each button to represent almost any keystroke. It also comes with a set of pre-printed labels and a set of blank labels; you can pry off the plastic top of each key with your fingernail to put a label under each button. Contour Design even provides template files for making professional labels. And did I mention that the controller just works? So I set the first four buttons to be h, j, k, l (the keys that you use to move left, down, up, right in vi). Hey Matt, Cool review. I have used these controllers for simulating iPod-style wheel input for media player prototypes. They are pretty hack-friendly even for high-level guys like me. Sooooooo – what is the latest on the Big Daddy roll out 😉 ? > And that was the beginning to a really fun, geeky weekend. It must be frustrating to blog on something that interests you only to get off-topic comments on the day job. I can’t imagine keeping up with all those buttons… but it looks good. Can you think of a practical use for something like this? It’s cool and all, but what purpose does it serve? It’s like the biometric authentication devices. My cousin has one on the computers in his basement… It’s not practical. I think if an intruder is already in your house, you have bigger worries than him getting on your computer..
I’m trying to find a use for this controler, and other than perhaps winamp remote.. i’m drawing a blank. I got one of the colored video aditing keyboards, which made using adobe premier much easier and faster.. If I would just spring the extra hundred bucks for the shuttle then thing should be even smoother… thanks for the reminder of this cool device, now that I am doing more video work again, I may have to pick one of these up. Could you post an update if you have success with this input device and Linux? I’ve been thinking about buying a ShuttlePRO and making it work with baudline. So any Linux feedback you can share would be most appreciated. Thanks. It would be really handy if it allowed application specific profiles.. so for my remote-server i could use one set, for my dev app i could use another, and so on. It seems great.And what do you think abour prices? ← Send. More. Spam reports.